Grandma used to say, "If you want strawberries, don't sow radishes." I wish I had taken that more to heart than I did. It was just something she said, you know? A little phrase that, when said as often as she did, nearly lost its meaning due to the repetition. 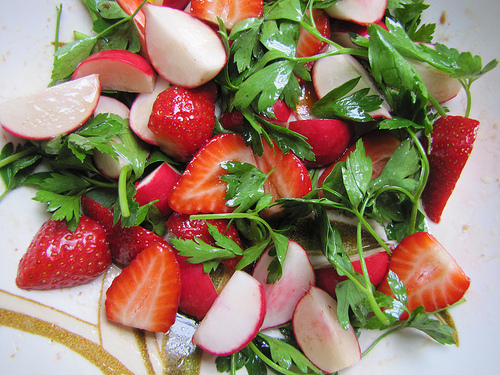 Strawberries, radishes... who cared? As a 13 year old who knew everything about everything, I would scoff and roll my eyes. "Well, of course not," I'd say. "Who would sow radishes and expect strawberries? That person would have to be all sorts of stupid." Grandma would just smile at my "wisdom" and shake her head. I would find out for myself. This one was short, but I feel like it was appropriate for the topic. Poignant without being too wordy.